$62.30. That’s the average amount that companies save per transaction with their corporate purchase card programs, according to the 2017 Purchasing Card Benchmark Survey. So why haven’t more companies expanded their programs? There are several reasons. Lack of adequate controls. Some companies block certain high-risk merchant category codes (MCCs) to stem P-Card fraud and misuse. Typically, once transactions have occurred, those are submitted to a manager or a series of managers through a workflow approval process. Then, someone in the back office reviews transactions on a pre- or post-payment basis. Nothing changes. Unfortunately, none of these controls enable companies to influence future employee behavior. As a result, managing a P-Card program becomes a vicious cycle, with the same defects and policy infractions showing up month after month. Labor-intensive. These manual financial controls are extremely labor-intensive. Even more frustrating, organizations usually have little to show for all the effort. When they do find things, they tend to be clerical errors or low-level policy violations. That’s because back offices focus on auditing individual transactions or reports – not on big-picture risk. In short, auditing individual P-card transactions or expense reports doesn’t identify high-risk activity, fails to influence future employee behavior, and prevents companies from optimizing their your business processes. So, what’s the answer? How do you put the right resources, processes, technology, and information in place to mitigate these risks and maximize the benefits of your P-Card program? The Power of Big-Picture Risk. Companies that commit to using an automated compliance monitoring solution can get visbility to big-picture risk, accelerate fraud detection, and greatly minimize losses. 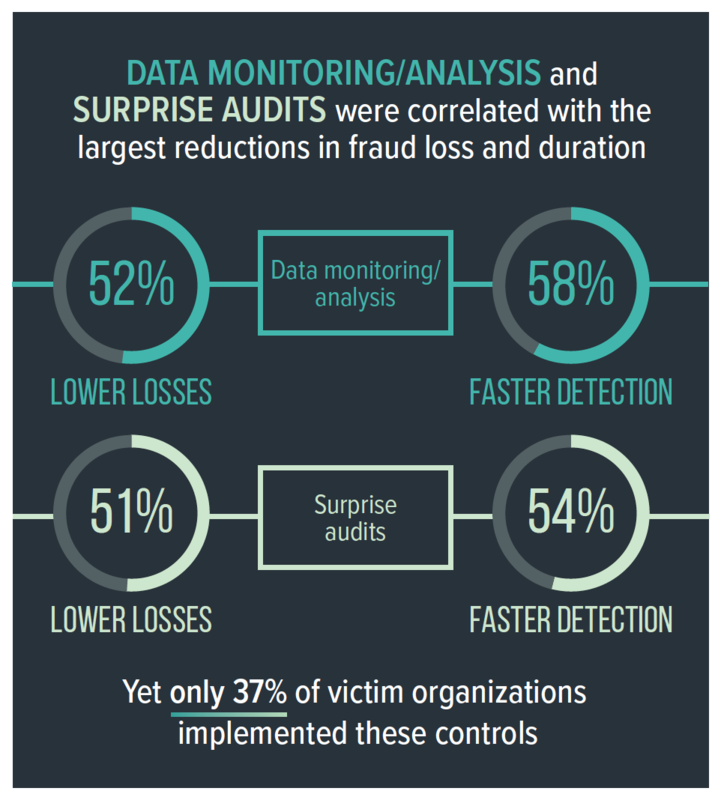 According to a recent study from the Association of Certified Fraud Examiners, active data monitoring and analysis were shown to be among the most effective controls, decreasing fraud losses by 52% and fraud duration by 58%. In addition, automated compliance monitoring can result in significant improvements in policy compliance, while streamlining back-office financial processes. Good stewards. 70% of employees are totally compliant with your P-Card and T&E policies. These are employees who never generate a single error or questionable transaction. The wasteful 25%. About one-quarter of employees are engaged in some form of waste and misuse. They aren’t bad employees committing fraud, but they’re not good stewards of your spending programs, either. This is where there are opportunities for big wins for you and your P-Card and T&E risk mitigation efforts. The bad eggs. About 5% of employees are responsible for 95% of all high-risk and fraudulent activity flagged in P-Card and T&E transactions. These aren't always the people who you might expect, either: 49% of first-time P-Card fraudsters have worked for their companies six or more years. Three-quarters of these “bad actors” are also engaged in another form of occupational fraud, according to ACFE. 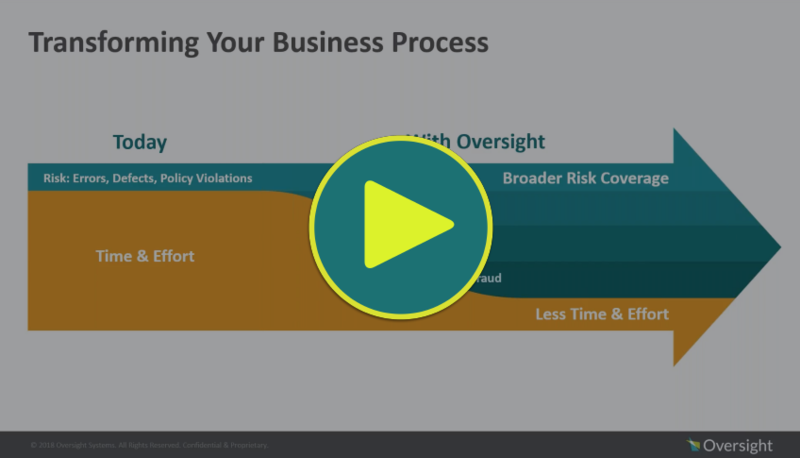 Watch our recent webinar for a deep-dive on mitigating P-Card and T&E risk, influencing employee behavior, and increasing operational efficiency by over 50%.